Home Lifestyle Fashion Can technology help fashion clean up its act? Chemical waste, mass production and consumerism are all byproducts of an industrialized global economy. The fashion industry is no different. Technology has helped the industry meet growing demand by making production more efficient. But vast overproduction – propelled by fast fashion’s demands for new styles – has led to a host of additional problems: increased chemical waste during production, along with thousands of tons of waste from worn, discarded or donated clothes. Clothing retail giant H&M has a global garment collection initiative – receiving used clothes and offering discounts in exchange for donations – but there are signs that even clothing recycling efforts cannot keep up with garment production. And while many companies use biodegradable materials, the costs of recycling such a large volume may tip the balance back toward using cheaper, synthetic fabric alternatives that are bad for the environment. Fashion designers, however, are now utilizing technology to create new, environmentally conscious clothing. Though generally relegated to the catwalk, these designs offer a glimpse of the future – and a critique of an industry that will soon be forced to address some of the problems created by mass production. Many companies now adhere to the unsustainable “fast fashion” model, where consumers can expect to find new clothes rolled out on the racks nearly every week instead of once a season. But while technology has allowed companies to produce more garments more quickly and at less cost, fast fashion is now the second most wasteful industry in the world, behind the oil industry. A single garment creates a large carbon footprint, the result of production that includes farming, harvesting, manufacturing, processing and shipping. Pesticides in cotton farming, toxic dyes in manufacturing and landfill waste of discarded clothing add to the environmental costs of a garment. Some materials, like cotton, are recyclable, while other synthetic materials, like nylon and polyester, are not biodegradable. Even laundering these clothes can send thousands of tiny fibers and chemicals into the ocean. Thinking about the full life cycle of the garment and closing wasteful loops creates new opportunities for apparel and tech industries. Unfortunately, technology’s role in the fashion industry has mainly led to increased waste. That’s starting to change. Designers such as Eileen Fisher, Stella McCartney and Ralph Lauren are attempting to reshape industry practices by using organic textiles and reducing water and carbon waste. Meanwhile, companies such as Levis are involved in projects to address their impact on the planet. Levis now dissolves old clothes to make a new fiber that the company uses in its jeans – an alternative to water-intensive cotton production. Pauline Van Dongen’s solar dress allows wearers to charge their cellphones. We’re also now seeing the development of textiles called smart fabrics, which are clothes infused with technological elements that interact with the wearer. Many innovators of smart fabrics have garnered attention with prototypes such as gloves that translate hand motions from American Sign Language (ASL) into audible speech, shirts that allow deaf wearers to experience music through the use of lights and vibration, or dresses that allow wearers to charge their cellphones. Sales growth of smart fabrics is projected to almost triple between 2012 and 2018 to $2 billion, while wearable technologies are expected to grow to $19 billion over the same period. While smart fabrics bridge intelligent design with access to new experiences or improved functionality, most of the products haven’t been very stylish. But new collaborations in the fashion and technology spaces are starting to focus on the importance of style in functional design. These kinds of innovations aren’t being spurred just by large corporations and investors; universities are playing a big role, too. Harvard’s Wyss Institute, MIT Design Lab and The Cornell Nanoscale Science & Technology Facility (CNF) are just a few of the labs that are bringing together designers, scientists, media and technology experts to study soft robotics and wearable technologies. Collaborations between design schools and large companies can also lead to advances in design, aesthetics and technology. For example, the Rhode Island School of Design has collaborated on research projects with sportswear companies to develop abstract concepts and ideas for future research directions. One proposed idea was knitting tubes for a system to carry fluids, within clothes, that can influence the wearer’s temperature or carry electric current. An example of tubular knitting from an industry collaboration with RISD. The tubes offer a system to carry fluids for temperature control or energy systems. Two recent exhibits have worked to further the conversation about the future of fashion and technology: the Museum of Fine Arts’ #techstyle (March 6 to July 10, 2016) and Metropolitan Museum of Art’s Manus x Machine (May 5 to August 15, 2016). While the shows display many pieces produced exclusively for the runway, they offer a glimpse at how technology can be used to repurpose and reduce fashion waste. Bionic Yarn weaves denim clothing using recycled plastic bottles. For example, #techstyle features a piece by the company Bionic Yarn, which weaves denim clothing using recycled bottles found in the ocean. Another work makes an even greater conceptual leap: Designer Iris van Herpen’s “Water Splash Dress” uses recycled PET plastic and acrylic spray, creating the design from a video capture of actual water splashes. Some designers, such as van Herpen, may think of technology as “just a tool” in their craft. But technology opens up a world of possibilities for designers to collaborate and innovate for individual and global needs. At a roundtable discussion on Fashion and Technology at the CUNY Graduate Center, Amanda Parks of Manufacture NY noted how it’s important to find a “sweet spot” between craft and technology. 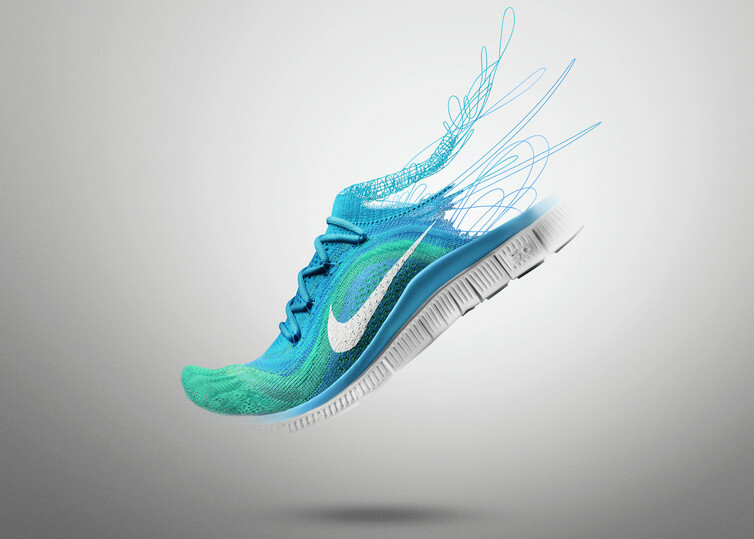 She called Nike’s Flyknit running shoe an example of a product that hits this “sweet spot.” The shoe is knit to the shape of the foot, wastes almost no material, has a superb fit and is offered at a marketable price point (between $130 and $150). With consumers primed to expect ready-to-wear fashion, it’s important for designers to utilize technology to craft products with purpose, that are good for the environment but also aesthetically pleasing and affordable. Only then will the fashion industry move toward a more sustainable and smarter future. 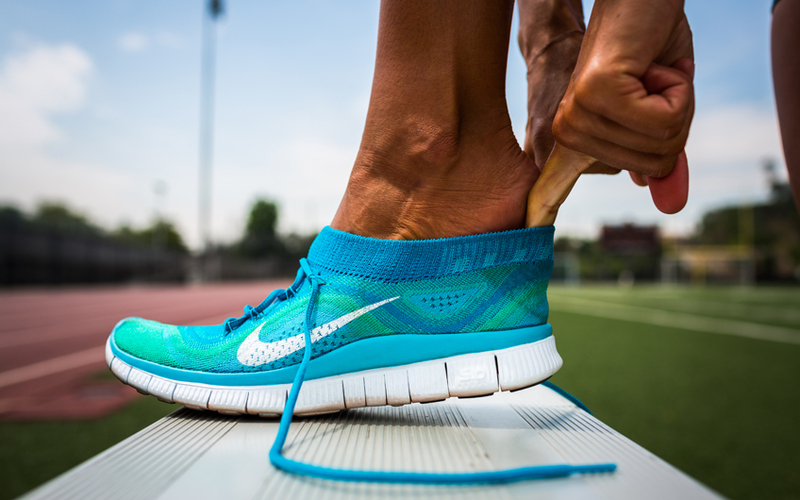 Nike Flyknit Women’s running shoe reflects a zero-waste, functional design. Previous articleWhat explains Britain’s Brexit shocker?